After our brilliant day out at Didcot in 2010, we decided to return. This time two pannier tank locos were booked with everyone getting a drive in the morning and another in the afternoon, however a shortage of drivers meant that No 3738 was the only engine in steam on the day. Unfortunately the day didn't live up our previous visit, whilst we had a good time it turned be an expensive good time with limited driving although we did get a bit of a refund. Ah well, you can't win them all! 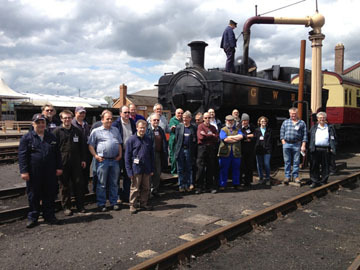 After lunch with members boilers well stoked, it was time for the group photo while 3738 had her needs satisfied. 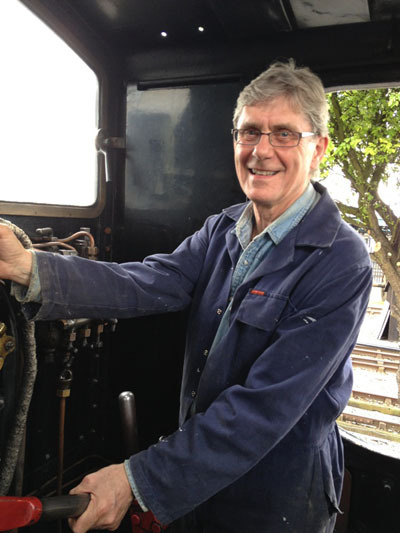 Paul, one of the original three CAA members who went to the Great Central Railway in 1994, gets his hands on the controls again.